A haul rope on a ski lift stretches over time or even hour to hour based on the number of passengers on the chairlift. Temperature can alter the elasticity of the line as well. The tensioning system is designed to help account for these varying forces that are placed on the lift. As the haul rope stretches, the tensioning system can take in the slack, and as it sags from the weight of many chairlift riders it can let it out. Ski lifts use either a counterweight system or a hydraulic system for tensioning the lift. While the original counterweight functioned adequately, replacing this tensioning system was our next step in the mechanical upgrades to this lift. (Last summer we installed new controls, gearbox, motor/drive system and braking system.) The original counterweight also had some challenges affecting the layout of the lift maze and the approach to it from certain trails. 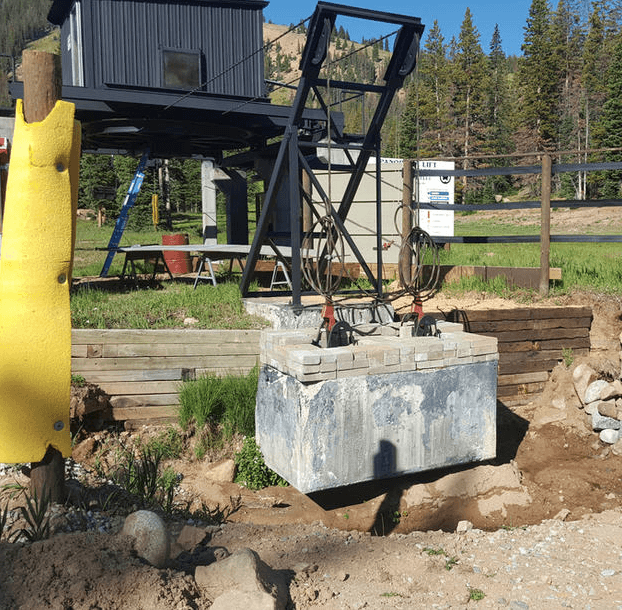 As part of this project, we will also improve the surface and sub-surface drainage system during this project as quite a bit of snowmelt ends up in the Panorama basin each spring. This new hydraulic tensioning system will include a concrete foundation with a steel tower extending upward from the base. A hydraulic ram will attach at the top of the tower and extend to the bottom lift terminal/motor room. 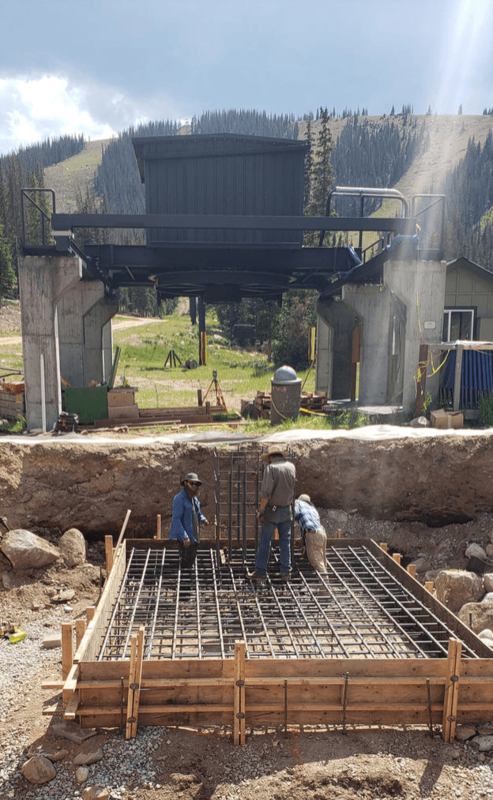 This ram will work in conjunction with the foundation to provide tensioning for the Panorama Lift.